Well, first of all, the video package they had couldn’t play during the reveal so that was a bummer since this is Las Vegas and putting on a good show is what the city is known for. The above is the video. OK sure, that’s fine. The name itself isn’t too great but I can get used to it. It just seems that Aces was the more popular name but the team wanted to distance itself from the gambling scene. With it being a three syllable name, many will likely just call them the Knights for shorthand. And why did they not use the full city name? Las Vegas is the city yet they go with the shorthand name of just Vegas. Of course, Las Vegas Golden Knights is six syllables. They probably want to keep it as short as possible and distance themselves from that city name for some reason. Very odd choice. The logo looks OK. You can see the “V” in the helmet, thus making the team name work. The color scheme is expected really. Although the four nearest NHL cities to Las Vegas have black (Ducks, Kings, Coyotes, Sharks) so I don’t know if keeping that going on works. But if you look at the press release, they have their reasons. You can decide if they are good or not. Overall the presentation of the logo works. It also is designed as if the light source is coming from the upper left, which makes the white trim on the helmet work — but not so much the shield. 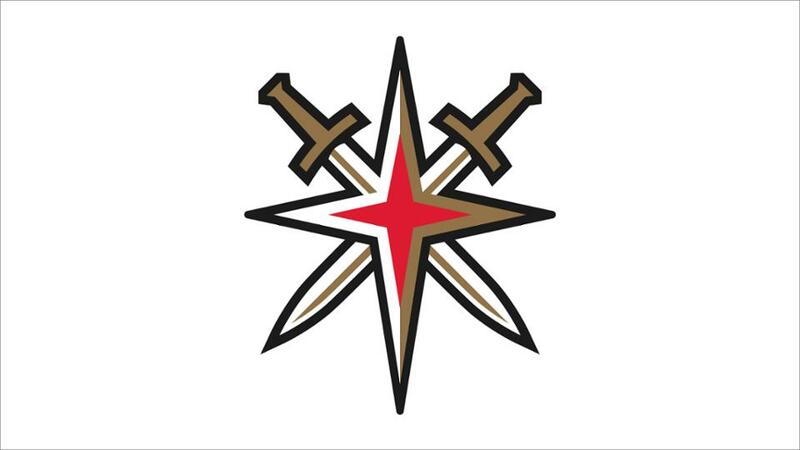 The secondary logo is the familiar “Welcome to Las Vegas” star and two swords that cut through the star but exit behind it. Strange. I actually like this logo a lot better and it introduces red into the scheme. The biggest thing that I will have to take away from this is the uniform, whenever that is unveiled. That will determine for me if this is a successful presentation or not. 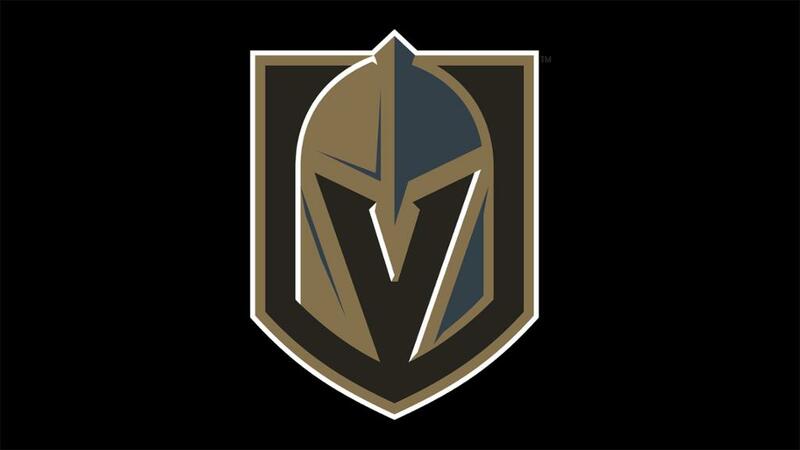 This entry was posted in Logos, NHL, Uniforms & Design, Vegas Golden Knights and tagged Unveiling. Bookmark the permalink.